Call for a free on-hold script consultation and ﻿live﻿ demo. Experience - Thousands of ﻿satisfied on-hold clients﻿ in all 50 states. Twice-elected to the board of the On Hold Messaging Association. Trusted by all industries; from dental offices to veterinary hospitals, HVAC contractors to car dealerships, we're America's customized on-hold script and commercials source. We have adapters, music on-hold equipment and more! Creative team - In-house creative team to build a custom on-hold script just for your business - and support to keep it fresh, lively, and up to date! Your dedicated account manager will conduct an on-hold script interview. Quick turnaround - Three in-house studios with nationally recognized voice artists to provide you the perfect commercials on-hold experience. Efficient company offering great value - You'll be amazed at our incredible service and affordable rates. Starting at just $39.99! Small to big, we have you covered. From single location offices to thousand-plus location franchise systems. 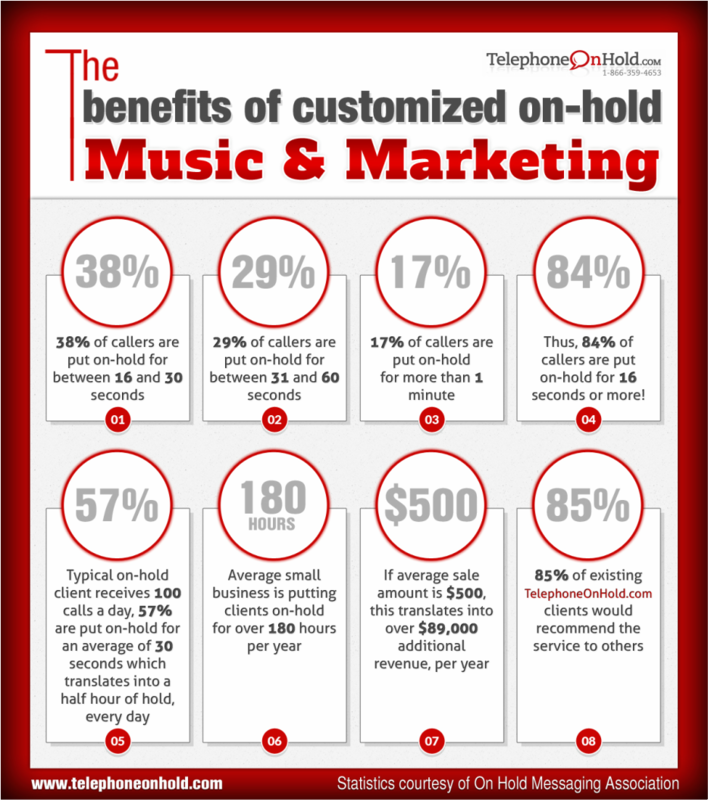 No company is too big or too small to have a great on-hold music and marketing solution! Family owned and operated. Our three-generation company has been featured on CNN, NBC News, Fox News, The New York Times and many more.